Join Max Chang and Kirsty Turner as they present their beloved books for your listening pleasure. 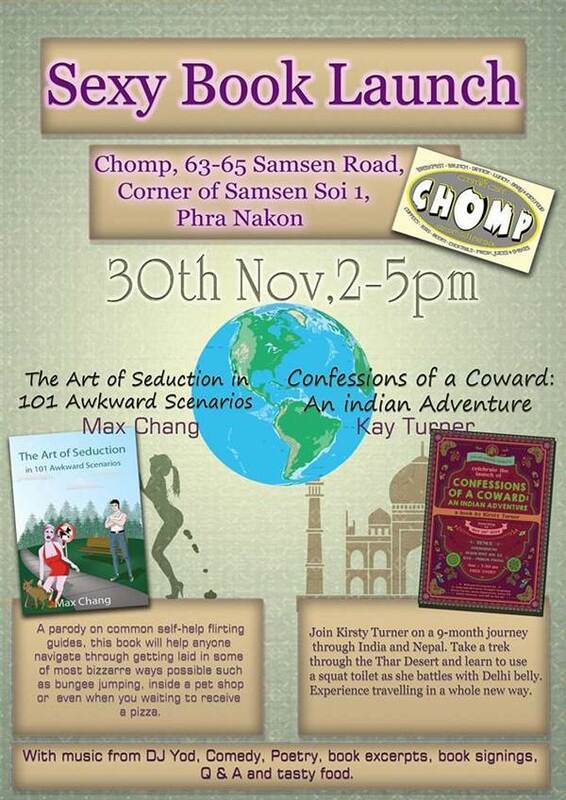 Max will kick things off with his self-help parody book based on how to seduce people in really really strange places such as during a bungee jump, while Kirsty will take you on a trip through India. Cool tunes will be provided by DJ Yod, while guest poets and comedians shake things up a little.